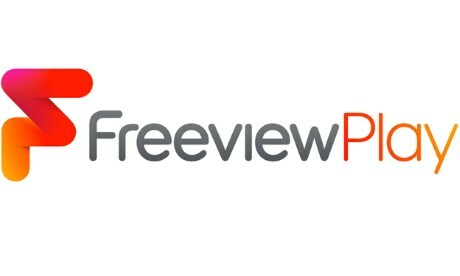 Digital UK and Freeview have today announced that Panasonic will be the first manufacturer to launch TVs featuring the Freeview Play connected TV service. Panasonic will make Freeview Play available in its new 2015 line-up of VIERA TVs. Channel 5’s Demand 5 service will also join the platform – completing the launch line-up of catch-up players alongside BBC iPlayer, ITV Player and 4oD. Freeview Play combines catch-up TV, on-demand services and live television to make watching what you want, when you want as easy as possible. The service will be free from subscription and compatible with existing broadband services. Viewers will be able to search for programmes via a scroll back function in the TV guide or a dedicated apps page. This month Freeview announced a major rebrand in preparation for the launch of the new TV offer. Ilse Howling, Managing Director, Connected TV at Digital UK, said: "It’s great news that Panasonic will be the first of many to bring TVs with Freeview Play to viewers. I’m also pleased that Demand 5 will be joining our line-up of great, free, on-demand players. Digital UK is working closely with manufacturers and broadcasters to develop our exciting new service and bring the benefits of connected TV to everyone, free from subscription." Guy North, Managing Director of Freeview, said: "We believe that Freeview Play will put viewers back in control and we’re delighted that Panasonic is our first TV launch partner. Freeview Play will be integrated into a number of TVs in the new VIERA range, giving people the freedom to choose across a range of price points. We look forward to welcoming more products from other partners later this year." Panasonic plan to offer Freeview Play recorders at a later date. Multi-brand manufacturer Vestel will follow with a range of Freeview Play products. Sounds good to me.. but what will happen to Youview? Any signs that anyone will make a Freeview Play set-top box available for use with older TVs? I've recently upgraded ours and wasn't planning to buy any more for a few years but our increasing use of iPlayer suggests that Freeview Play would be worth having. Michael Walker: I wouldn't worry too much. Freetime Play is basically much the same as Freetime, which has been on Humax Freesat PVR's for a while. And thats pretty much the functional equivalent of You View (which was assured of funding for the next 5 years in 2014). Panasonic TV';s had Freetime from 2014, and Sony will have Youview from 2015. If you bought a TV in the last year or two, provided you bought one of the four big (and decent) brands, the likelihood is that your TV is HD, has Freeview HD, has wifi and is smart. You'll have Iplayer and Channel 5 at least, and if Samsung, all four channels via an app. I have no idea what LG is doing, but hopefully they will offer the other two channels as well - just to make my life easier! Even if you dont have a smart TV, you can upgrade it. Blu Ray players, streamers (so something as cheap as Now TV, or perhaps Apple TV, etc), PVR's or simple HD receivers will get you at least Iplayer. And Freeview Player will be included in many PVR's, blu rays etc. Since you'll tend to upgrade such boxes every so often anyway (and they are often pretty cheap), you'll be fine. Put it this way, I have a decade old CRT TV which I would prefer not to replace at the moment (school shoes, etc to buy). Thanks to the kids Xbox and the cheap Now TV box (which is the only thing these days which as an analogue output), our TV is smart, with all four channels on demand, etc. At some point, if we replace one of the boxes underneath the TV or the TV itself, I suspect Freetime or something similar will be included. Michael Walker: Apparently Humax has said it will be the first manufacturer to make so called set-top boxes for the new Freeview Play connected TV service. AlanG: Someone on PocketLint has pointed out that with Humax bringing out Freeview Play, but already using (and seemingly commited to) Youview, they are in essence competing against themselves. Someone did then point out that BT and Talk Talk has supported Youview, whereas Freeview Play is supported by other parts of the industry. When is Freeview Play going live and when will the set-top boxes be available? Is this not the purpose of YouView? Dave Lindsay: Youview, Freetime and Freeview Play all do much the same thing...so I'm sure there will be no confusion amoungst consumers! If they all do pretty much the same thing, there will inevitably be confusion in the minds of non-technoical viewers, probably the majority. When considered from the customers' point of view, why should they consider investing in three pieces of equipment that all do the same thing - and add yet more wires to the tangle behind the TV? Many will be confused by this appatrent duplication. Technically aware people are unlikely to be confused but may well ask why we need three systems doing much the same thing? The only answer I can think of is that they want to offer viewers more choice, but repeating what others are already doing doesn't seem to be much of a choice.